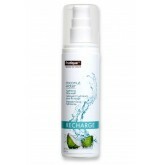 Removes impurities Balances complexion .. 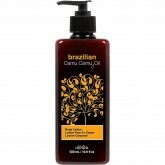 Escape to the golden beaches of Brazil with the irresistibly sweet and fruity aroma of Brazilian Cam.. 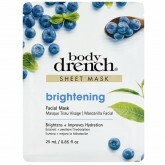 Body Drench's brightening facial mask brightens and improves hydration. 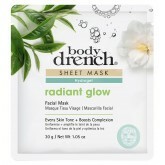 Single mask per pack. .. 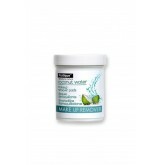 Body Drench easy to use twist up moisturizing lip balm sticks! Available in: Sweet and Twisted R..
Get warm and cozy by the fire while applying your favorite Cozy Kisses Lip Balm! 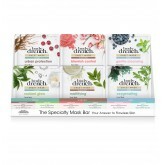 The deli..
12pc display includes Cozy Kisses Lip Balms in: 4 - Raspberry Dream 4 - Sugar & Spice 4 - V..
Revitalizes Replenishes Essential Oils ..
Say goodbye to cracked knuckles and chapped hands with the Hand Saver Hand Cream. Infused with.. 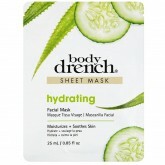 Body Drench's hydrating face mask moisturizes and soothes skin. 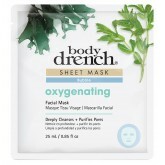 Single mask per pack. 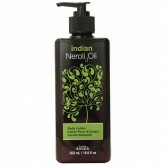 Benefits: ..
Indulge yourself in the sensuality of the sweet citrus scent of Indian Neroli Oil. Derived from bitt..
Drench your lips with 8 hours of moisture with the new Beeswax Complex. 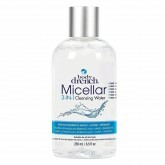 This lip balm glides on to y..
Removes excess Oil Controls Shine ..
Micellar 3-in-1 Cleansing Water is formulated with microscopic micelle molecules that trap and disso..
Micellar 3-in-1 Cleansing Water is formulated with micelle molecules that trap and dissolve unwanted..
Includes 2oz lotions in 3 scents: Original 2oz Unscented 2oz Coconut Water 2oz .. 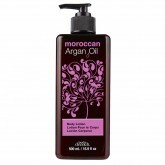 Capture the essence of an exotic escape with Moroccan argan oil, the rare oil described as "liquid g.. 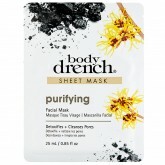 Deeply Cleanses Purifies Pores ..
Peel Off Multi Mask Set is available in 24 Karat Gold, Violet and Aquamarine. Benefits: each mas.. 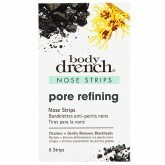 Body Drench's nose strips cleanses and gently removes blackheads. 6 strips per pack. Benefits: S.. 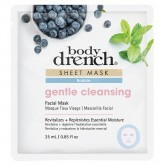 Body Drench's purifying facial mask detoxifies and cleanses pores. 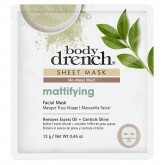 Single mask per pack. 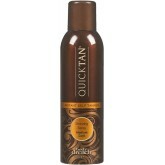 Benefits: ..
Quick Tan Instant Medium Dark Sunless Mini is a fine-misting spray-on self tanner that provides imme..
Quick Tan Instant Medium Dark Sunless is a fine-misting spray-on self tanner that provides immediate..
Evens skin tone Boosts Complexion .. 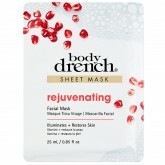 Body Drench's rejuvenating facial mask illuminates and restores skin. 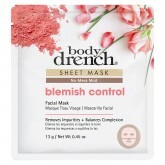 Single mask per pack. 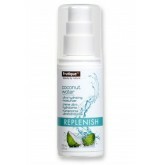 Benefit.. 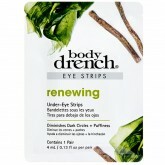 Body Drench's eye strops diminish dark circles and puffiness of eyes. 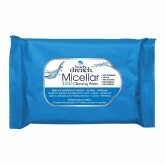 Single pair of strips per pack.. 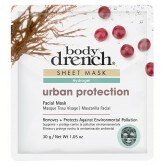 Counter Display Includes: 6x - Urban Protection - Removes and protects against environmental poll.. Experience the seduction of warm tropical nights with Tahitian Monoi Oil, an island blend of lusciou..
Indulge in the decadent taste of new lip scrub & butters. 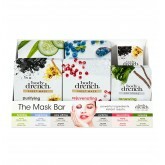 2 step system to pamper lips for long ..
Includes: 12x Purifying Sheet Mask 12x Brightening Sheet Mask 12x Hydrating & Rejuvenating ..
Removes and protects against environmental pollutants ..
Violet Frost Hand Savers hand cream display Includes: 2 - Sugar & Spice Hand Lotions 2 - Van..